A no compromise approach to power distribution. 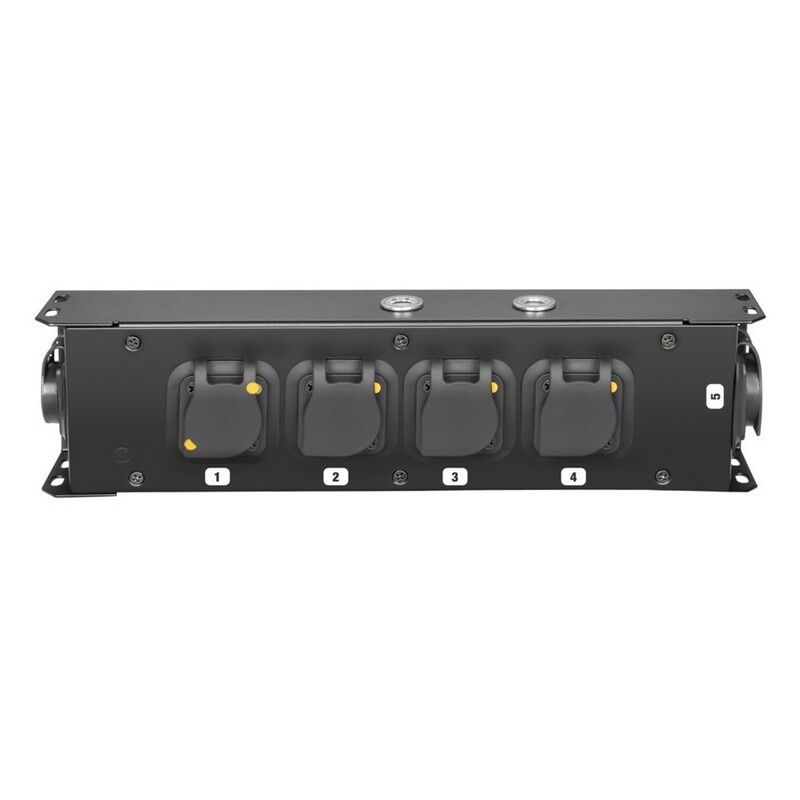 The Adam Hall Proport Power Strip is a high quality and reliable power strip, giving easy power distribution at any event, with extremely easy daisy chaining. 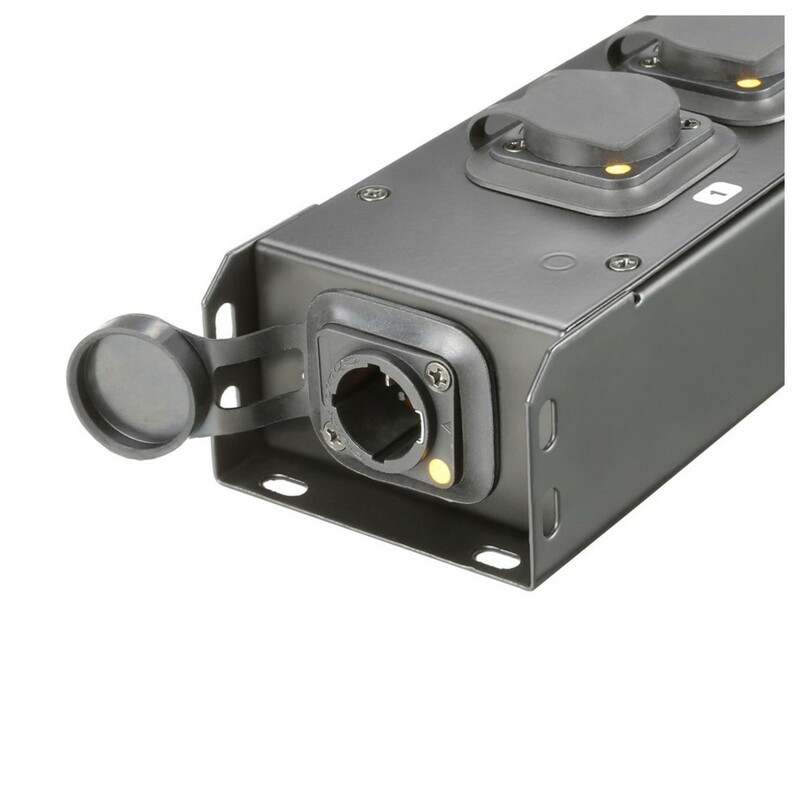 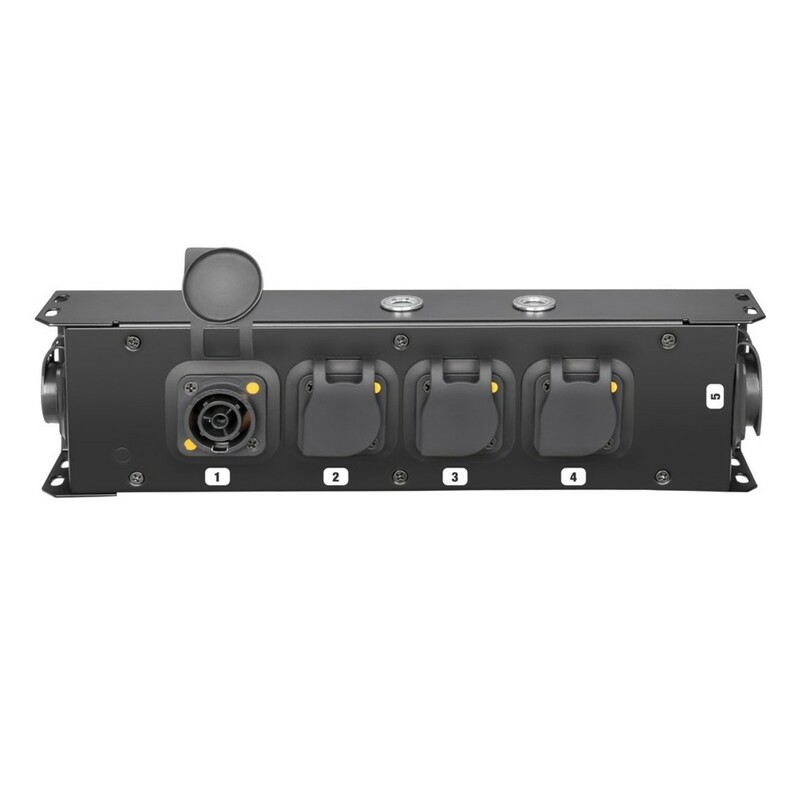 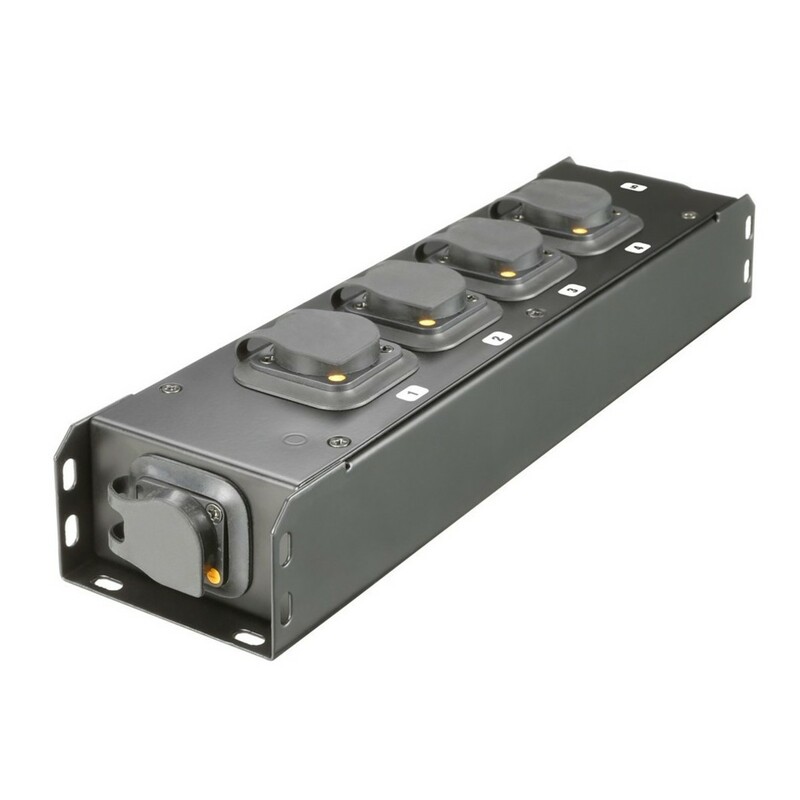 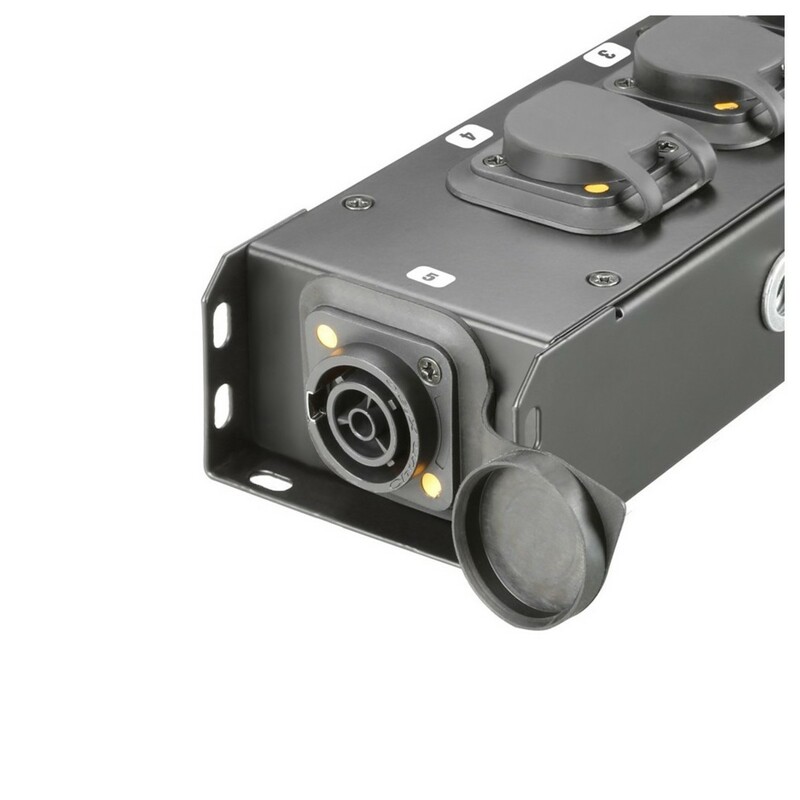 The powercon true one connectors are IP65 rated meaning they are protected entirely from dust ingress and water spray from any direction. 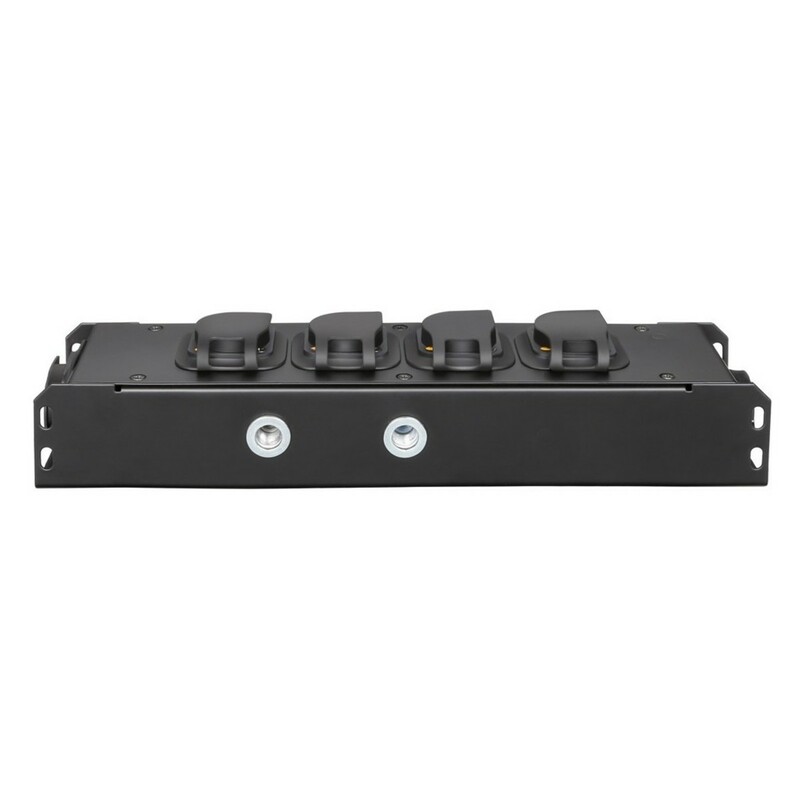 The Power Strip doesn't fit in a 19'' format but is easy to mount to flight cases or other installation points with a variety of screw holes and two female M10 threads.